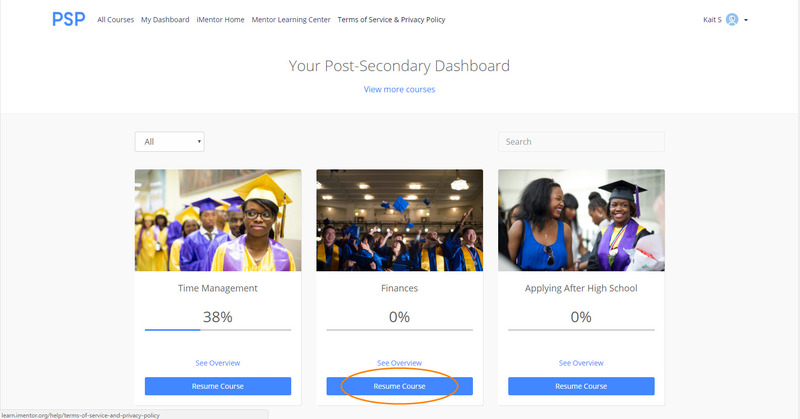 The Post-Secondary Success Program has developed a series of six online modules to be chosen, accessed, and shared by mentor/mentee pairs in their first year after high school. These modules are self-paced online learning modules which can be completed by mentees in ~10 minutes. Navigate to this link in order to sign in. 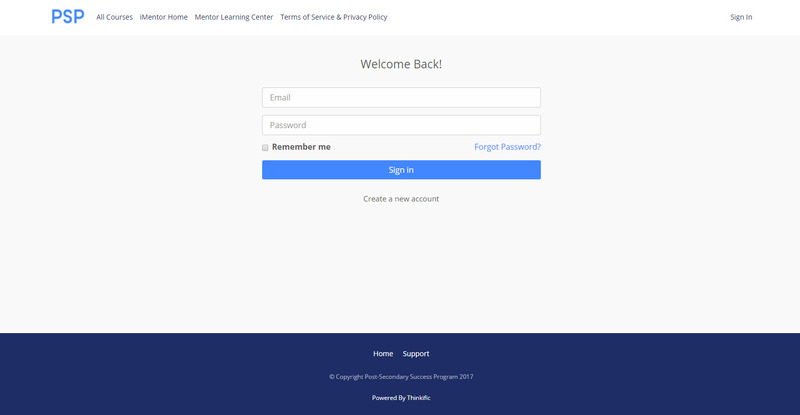 What learning modules are available? Principles, strategies and templates to manage time after high school. Templates and principles for three "power tools" of time management and examples of how students put them all together. Many students leave high school and enter environments with new social and cultural norms. This module defines “culture” and helps mentors and mentees understand why culturally competent communications are important.Students will explore the role of their own identity as speaker in communicating to get what they need (code-switching, etc.) and how the identity and culture of people they interact with influence communications and may cause harm. Students will explore how they can operate with empowerment in communication across lines of difference. Mentors/mentees would explore how to make the mentee's campus his/her own. This could involve finding and accessing academic supports (tutoring, writing center), health supports, and professional supports (grants, internships, networks). This module will rely on and develop self-advocacy and confront stigmas associates with accessing supports. Mentors/mentees understand the importance of resume building and explore ways mentees can build their resumes through activities, organizations and summer activities. Themes will include networking, resume building, and extending career ladder work from high school. How to make smart financial decisions, including saving money, and building financial independence after high school. Credit, banking, credit scores and their impact on purchasing, types of loans, budgeting. 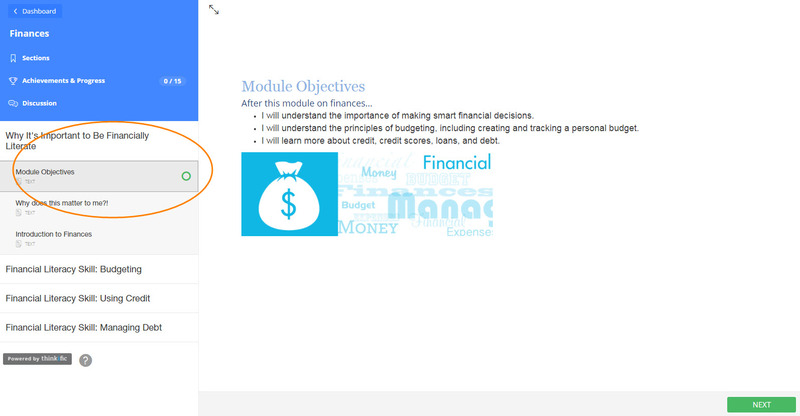 This module will provide some templates and principles for creating and tracking a personal budget after high school.